Are there no seats attached to a sale? 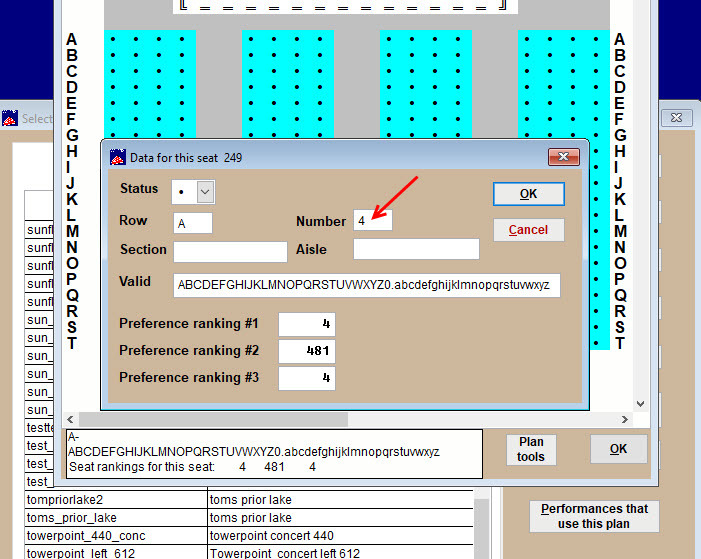 Have you checked to see if the seats in your seating plan were labeled correctly? 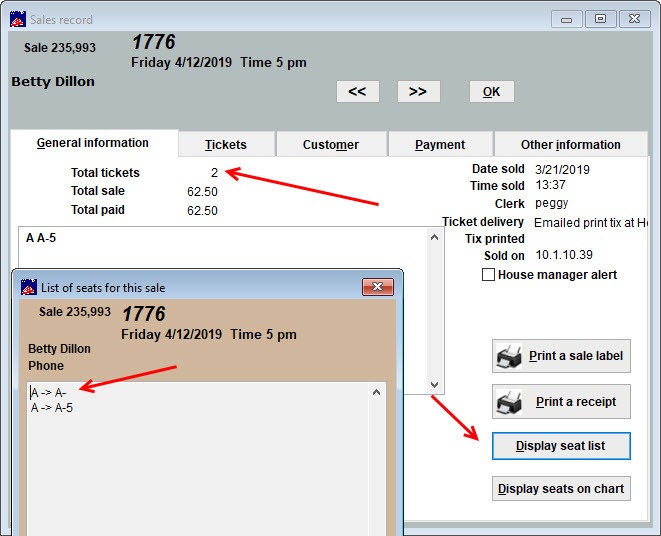 But if you open the sales record and click the Display seat list button, you will see that only one seat has a seat number. 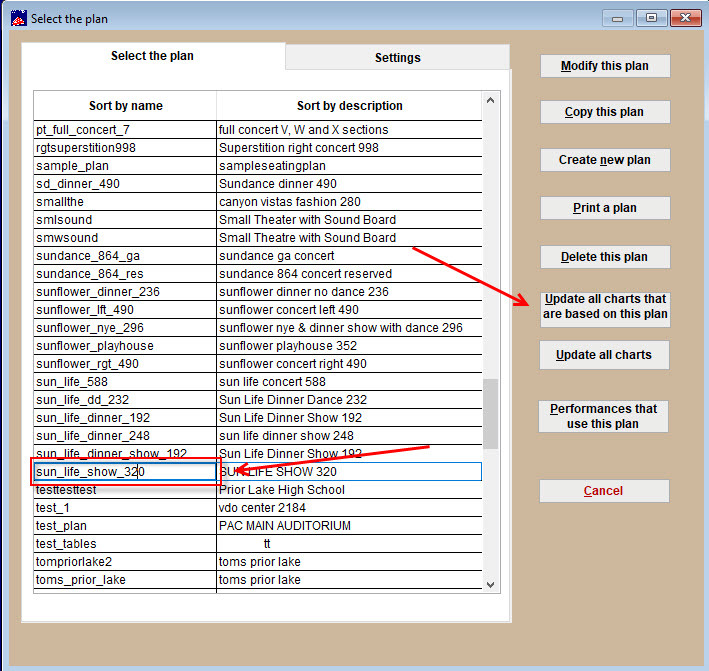 Now click on the Display seats on chart button. You see that the only seat listed in the sales record is still A A-5 but you can see two seats selected in the seating chart. 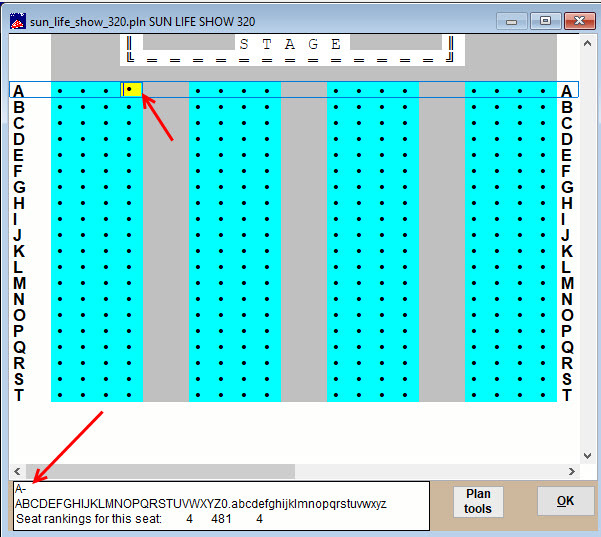 You can also see that the seating plan the show is using is sun_life_show_320 (upper left side of the seating chart). Go to Tools | Seating plans and find that chart. Click on each of the seats you saw displayed in the last window. For the seat on the left, you can see in the info bar below that the row A is displayed but there is no seat number. Click on nearby seats to determine what the missing seat number is. 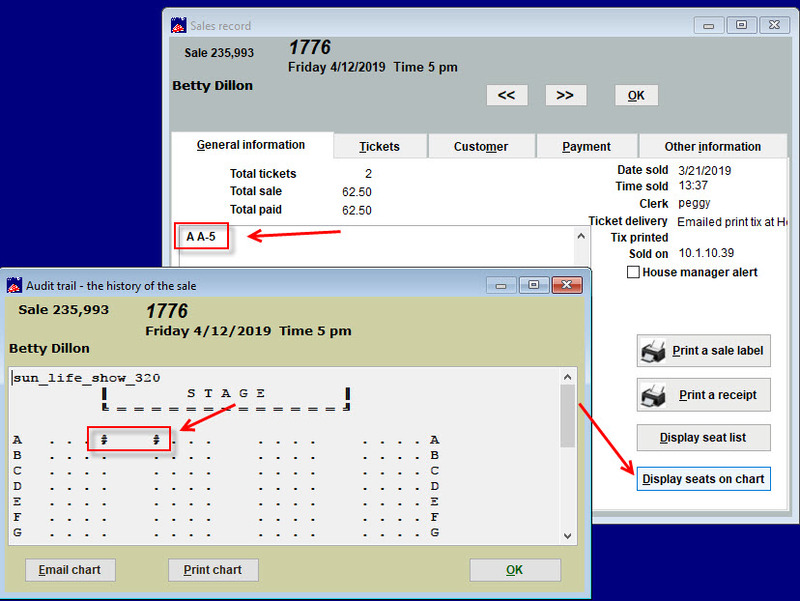 Double-click the seat to bring up the data number and type it into the Number field. Go back to Tools | Seating plans. Highlight the plan, then click Update all charts that are based on this plan. Go back to the Sales record. 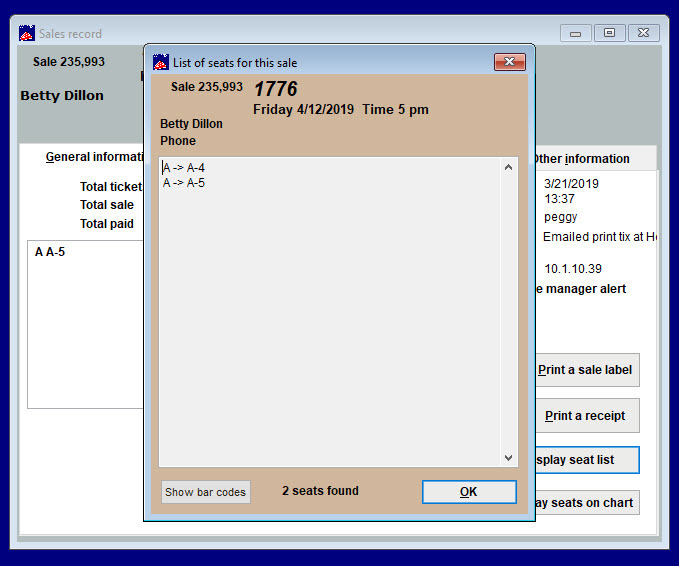 SHOULDN’T THIS SHOW THE CORRECTED SEAT NUMBER IN THE SALES RECORD OR DO YOU HAVE TO ENTER IT MANUALLY? The reason why the seats didn’t show up in the integrity report is that the seats were actually chosen and did get recorded in Wintix. Without the seats being labeled, there was no way for Wintix/Webtix to actually record the seat labels if the seats were not labeled in the first place. This entry was posted in Uncategorized and tagged tutorial. Bookmark the permalink.